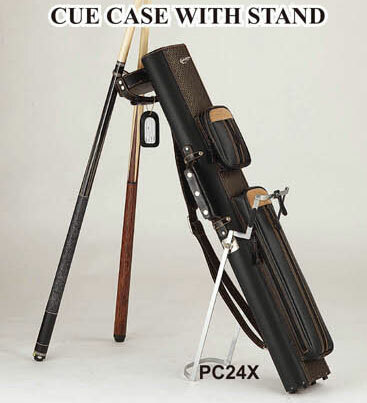 Stand cue cases - Cue cases can stand up when holding the cues. 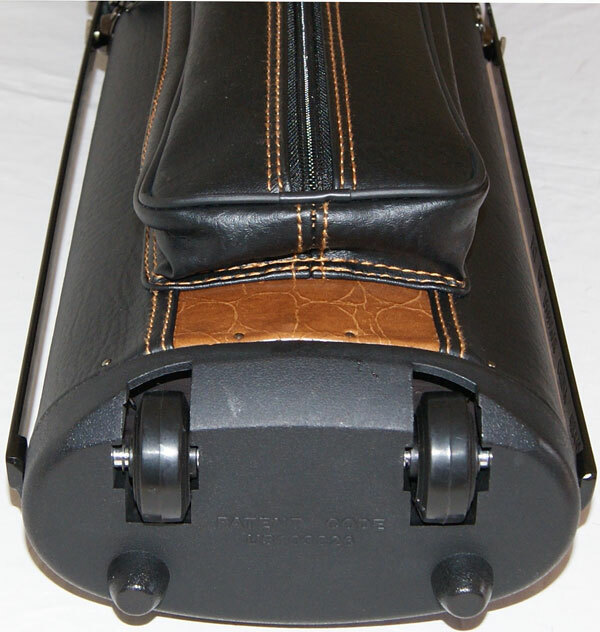 Strong, durable, with leather like quality exterior. 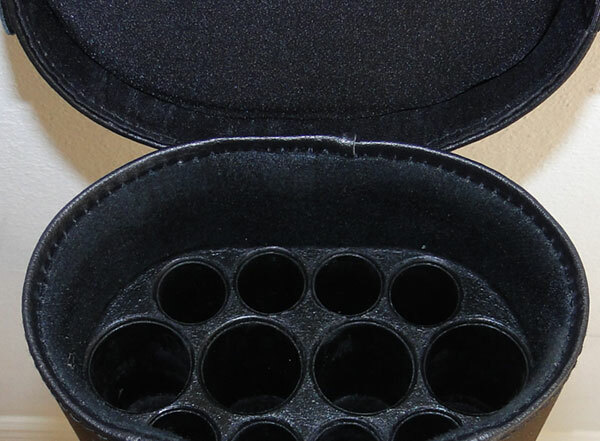 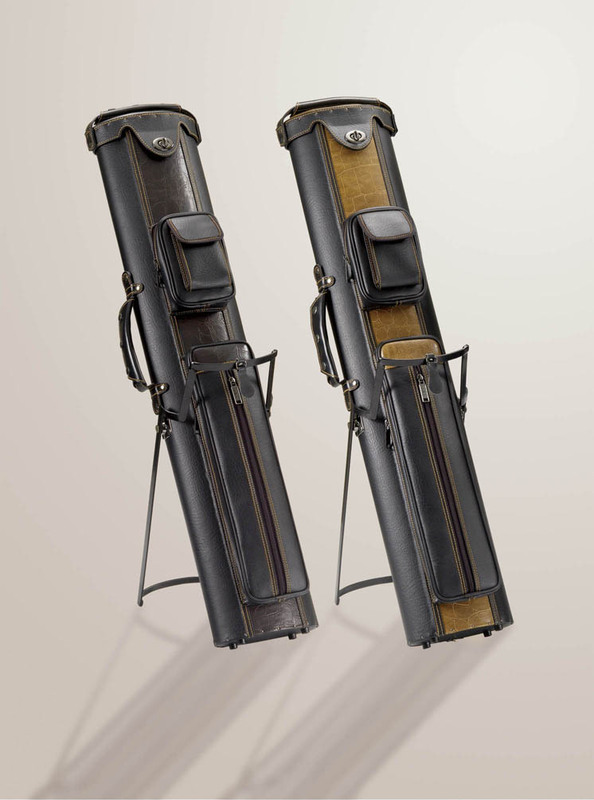 Individually lined tubes, or light weight satin dividers, with finest interiors to protect your valuable cues. 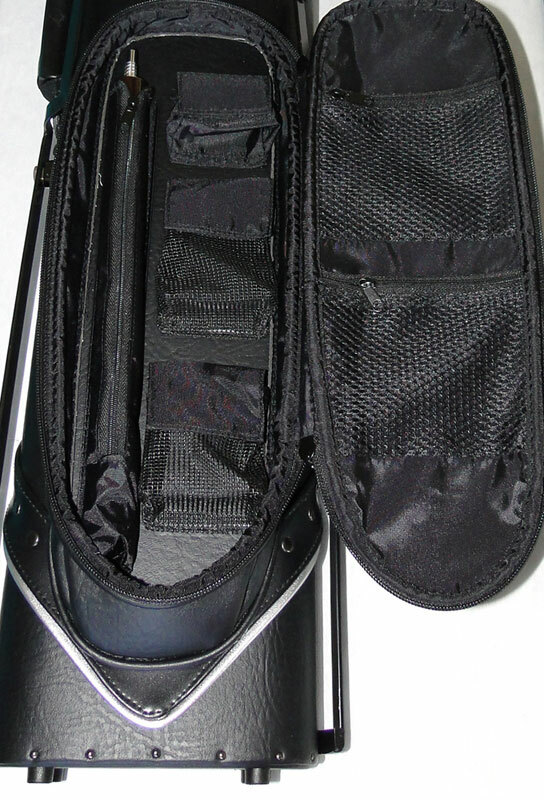 All cases come with large pouch, shoulder strap and handle. 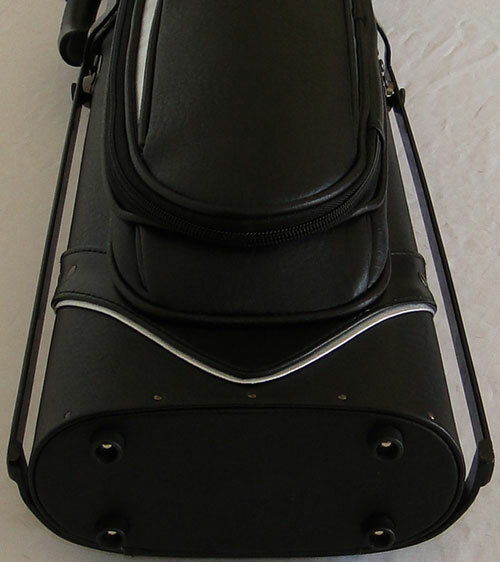 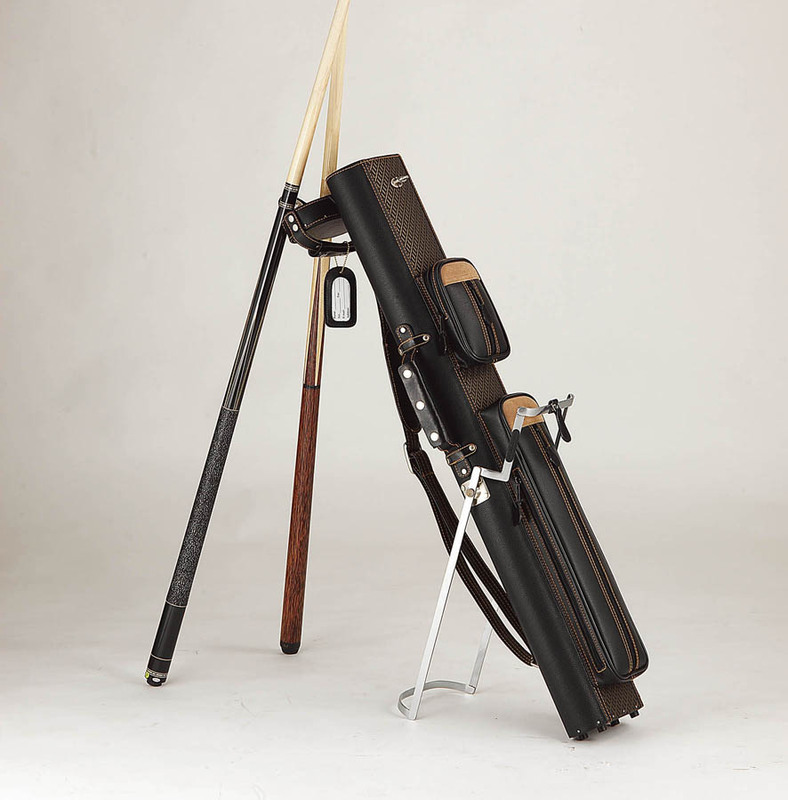 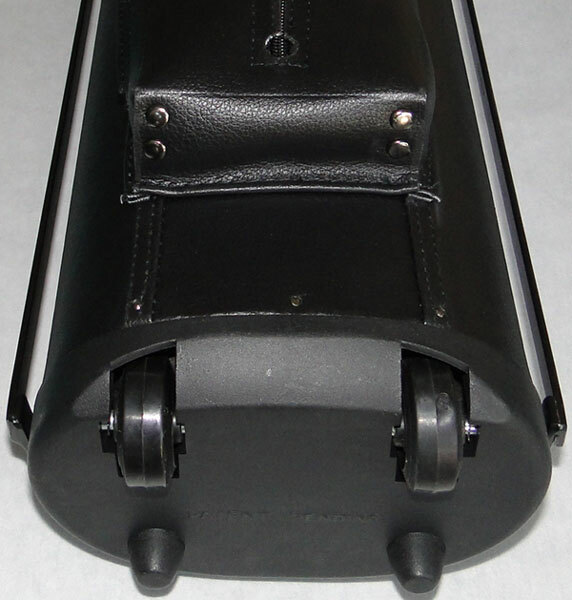 J&J America is the first company makes the cue cases with Wheels, and Stand. 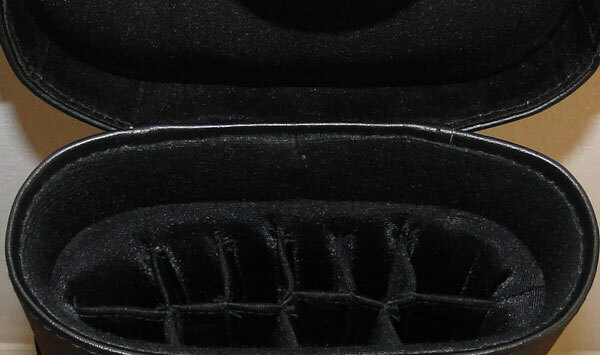 Price and color are subject to change. 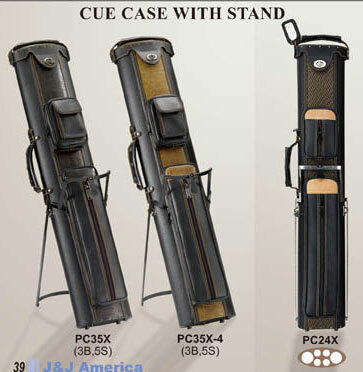 Color of the stock cases may be slightly different from the picture.